Love Means Taking a Leap. In 1953, Margaret Johnson of Winston-Salem is on holiday in Italy when dashing Fabrizio falls fast for her daughter, Clara. As the courtship races, Margaret must reveal a family secret or summon the courage to consent to marriage. Themes of sacrifice, destiny and the effervescence of first love ripple through this lush period musical. 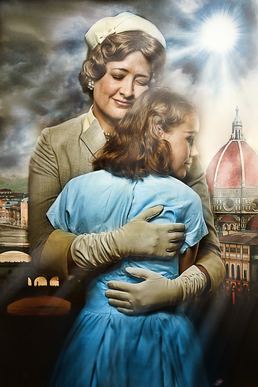 Adapted from the novella by Elizabeth Spencer with a score by Adam Guettel (grandson of composer Richard Rodgers), this winner of six Tony Awards transports audiences to sunshine-filled Tuscany and into the hearts of some of musical theatre’s most endearing characters.